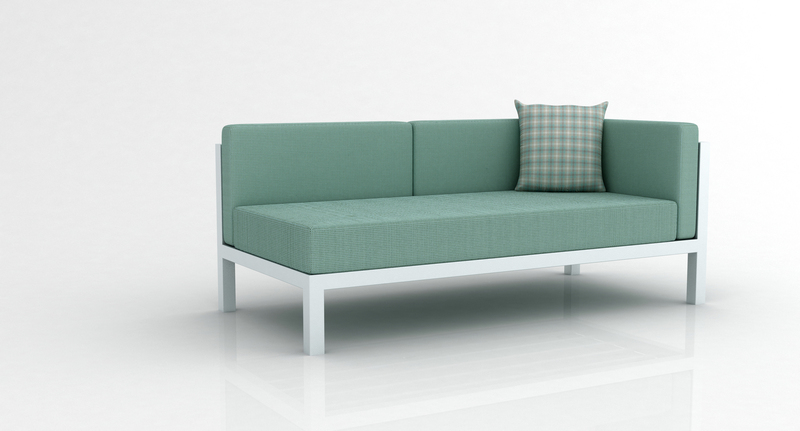 The Aqua Loveseat Sofa by Greenbridge Furnishings has a powder coated aluminum frame in River White. Seat and back cushions included. 5” Seat cushion with a 5” Back Cushion. Outdoor reticulated foam covered by commercial upholstery. Throw pillow not included. Your choice of fabric from Sunbrella's European Upholstery Collection. Please enter your fabric choice in the field below. This custom-built item ships within 4-6 weeks. 1250 points will be rewarded to you when you buy this item.